"The greatest asset you have when investing is time — the magic of compounding interest and the tendency of markets to trend upwards over a long enough time frame — means that the younger you start investing, the better," says Elle Kaplan, CEO of LexION Capital Management. She started saving at a young age before establishing her own wealth management firm. Indeed, at this point in your life, investing doesn't have to take too much out of your budget - just get in the habit of stockpiling some extra cash from your summer job or the night shift for investment purposes. And find a brokerage that doesn't require a minimum balance to open an account, assuming you have only a few bucks to begin with. This way, you don't have to use a costly financial advisor or waste your time solely relying on a puny savings account to see any earnings. For once, somebody else is going to help you get started on your homework. 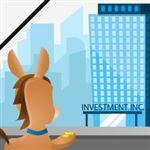 Let CreditDonkey take you away for a few moments from your study hour and all-night crammings by narrowing down the few online brokerages, such as Ameritrade and Ally, that would be a good fit for you and your interest in delving into the world of self-directed investing. It's no secret that while in college, you're probably not rolling in dough. And even if you have a little money to invest, you're still not going to want to blow it on fees. It would behoove you to find a brokerage that charges low commissions and requires little or no money to open an account. A college student is already in learning mode, so if you don't know anything about DIY trading, this is the perfect time to learn. You want a brokerage that not only walks you through the process of online trading but that has educational tools, including articles, videos, and webinars, to help you make smart investment decisions that minimize risk. But you also want that information to be easily accessible and easy to understand. "The last thing while in school you will probably want to do is more research," acknowledges Mitchell Piper, a membership director for the American Society of Tax Problem Solvers. 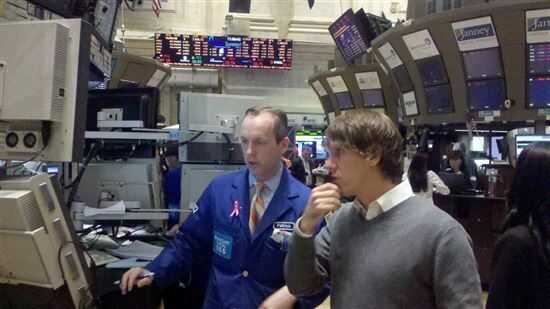 Mr. Piper began trading stocks in his junior year of college. After all, there's little time. College life involves a lot of studying, classes, and social activities. You have better things to do than stare at your computer trying to navigate and comprehend a complicated interface. Choosing an online brokerage with an easy-to-use platform that doesn't require a lot of time invested (in addition to your money) is of the utmost importance. Dorms are small — no one will argue that. And most students prefer spending as little time as possible in them. If you're looking to get into the online investing game, you want an online brokerage that will allow you to make investments on the go — even from the library or the dining hall — on a simple-to-use mobile app that provides enough research and tools to allow you to make a sound, smart decision without a big computer screen. Ally Invest's low commission fees are rock-bottom. 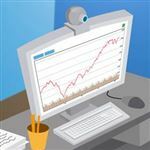 Mutual funds, which are relatively low risk, are very popular investments for first-time (and cautious) investors, which a college student should be. And the cost per trade is much lower than other online brokerages. There's no minimum deposit to open an account, so it's worth giving a shot. Plus, being new to the investment game, you're going to have questions, and Ally Invest has real-world answers via its Trader Network, sort of like social media for self-directed traders to share their practical advice with each other. Without a lot of fancy features, the platform is a bit dry and isn't as appealing to the college student generation as something that has more panache. But this doesn't mean the platform isn't effective for trade executions, research, and other amenities that any investor would need. Students who aren't overly impressed by colorful imagery and "toys" when it comes to online investing. Those who want a straightforward platform with good educational tools and who plan on (eventually) doing a fair amount of trading and want to keep more commission money in their pockets. TD Ameritrade is also a good brokerage from which to grow. As your trading expertise expands, it offers additional, more intuitive platforms from which to choose, including a desktop-based interface for intermediate traders and thinkorswim.com, a platform made for professional-level investors. As a college student starting out in the investment game, who knows? You might excel to that higher level as your profitability grows. When you're just starting out, however, you do want to tread carefully and be aware of the risks. While there can be no rewards without some risks involved, you don't want to lose your shirt before you've even entered the "real world." This means steering clear of investments that could be too good to be true or that are really meant for the more sophisticated or experienced investor. "Stay away from penny stocks and OTC-traded stocks," Piper says. "They are not the worth the aggravation, and they have much greater risk." Using an online broker gives you an outlet for trying your hand at investing while continuing your investing education in the meantime. Time is on your side. 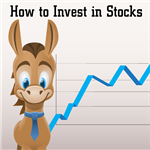 Share on Facebook "Study: Best Online Stock Broker for College Students"